Friday – Fast & Fun! 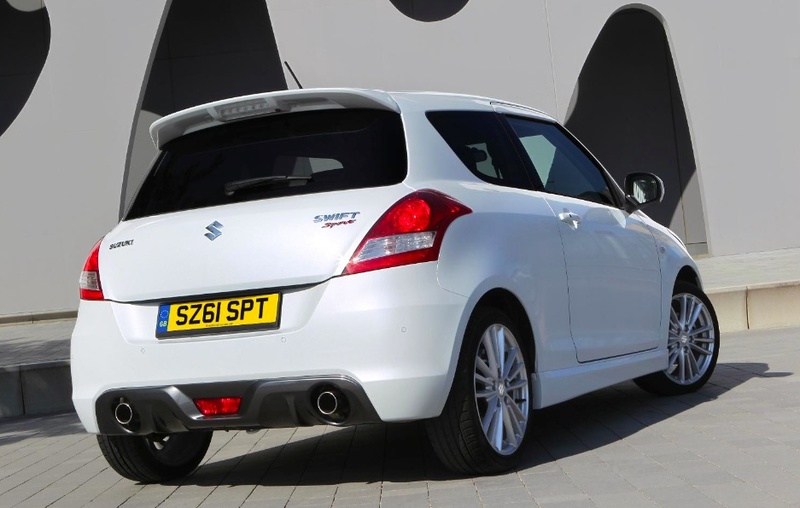 Jeremy Just back from a Friday morning spin down some busy A-roads in the Swift Sport. I’m finding any excuse to drive it at the moment because this car has lashings of something so many of its competitors lack – fun. The first time I drove a Golf GTI 30 years ago, I remember being blown away by the power and agility of was otherwise a standard family hatchback. It’s the same feeling with the Suzuki – except it doesn’t have quite same the level of performance on tap. But don’t let that put you off, the Swift is so beautifully balanced, so agile on the corners that it just urges you to ‘make progress’ wherever possible. Sure, the Swift isn’t turbocharged like many sporty hatchbacks these days but the normally aspirated, 1.6 petrol engine is gutsy. It’s not ‘hot’ from a standing start but keep the revs up and it flies! For gentlemen of certain age, the Swift Sport will turn the clock back to great GTIs like the Golf, Peugeot 205 and Fiesta. Uncomplicated, forgiving and guaranteed to put a smile on your face. This entry was posted in Suzuki and tagged Ford Fiesta, Golf, Hatchback, Peugeot 205, Suzuki, Swift, Volkswagen, Volkswagen Golf. Bookmark the permalink.